Ombre is the most popular hairstyle that combines two colors that gradually make the transition from roots to tips. Nowadays, the versatile colors are the most wanted and purple hair is in the top of the list. 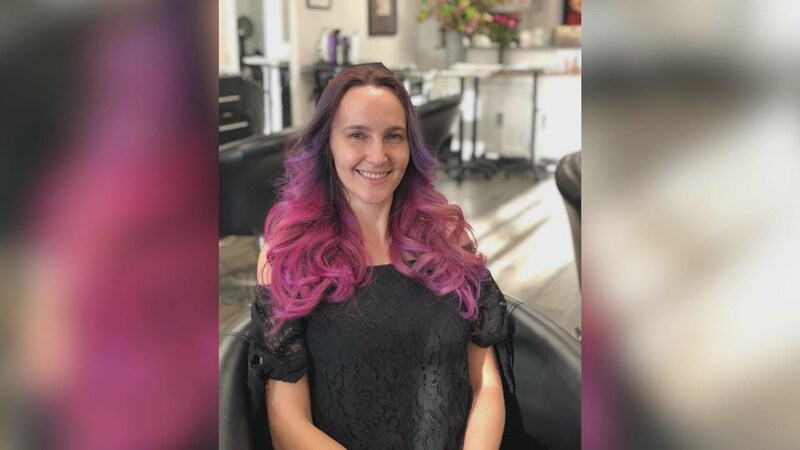 At Plaza Hair Salon, we combine- amidst many others - shades of lilac, fuchsia, lavender, violet and pastel to give you the most spectacular purple ombre. If you are looking for an ultra-feminine and trendy hairstyle, you should visit Plaza Hair Salon and have a breathtaking pink ombre. Your hair will look fashionable and inspirational. This is a quite catching attention hairstyle. Shades of pink and purple create a romantic magnetism on multiple hairstyles. All types of hair and all skin colors match with this ombre. On long, wavy hair shades of violet give volume and texture to your hair. This type of ombre is not very drastic and gives you the possibility to try something bold, unique. Whether you have a pixie bob or some long, flowing flocks or if you want to intertwine the colors. Our Plaza Hair Salon will make you look ravishing. The colors are kept natural in this high- toned ombre. Shining blonde lines deepen the texture of your hair and the candy pink colored roots give originality to your look. Pink shades will turn immediately your hairstyle from classic to modern and everybody will admire you. At Plaza Hair Salon we can combine your favorite colors to make a beautiful ombre. Just tell our hairstylist about your wishes and relax in our comfortable chair. You will be ready in a few easy steps. First, we brush gently your hair to take away the tangles or knots. Then, we section the area of the hair you want to change and protect the rest against dye staining or bleaching. We recommend you to come back to your natural hair if you have dyed it purple, red or another color. This way, the transition will be better defined and your ombre will be perfect. Our hairstylists will gently separate your hair in thin lines and put the colors you’ve chosen on them. Lower and top layers of your hair are dyed gradually from tips to roots. We wash your hair gently after having waited about 25-45 minutes and apply smooth conditioner to make your ombre shine. We take care to adjust the temperature of the water as hot or cold water can damage your hair. We recommend you to continue conditioning your hair for a few days more. dialog opener - people can become interested in your hair and try to engage you in conversations. Call 858.485.7551 or e-mail us at appointment@plazahairsalon.com for your appointment. Walk-ins are always welcome too!